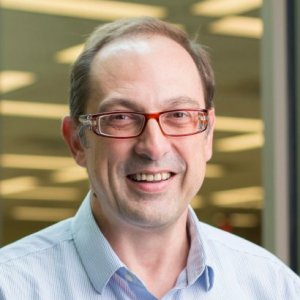 Professor Milos Manic is conducting research and teaching in area of artificial intelligence applied to energy, human- machine interfacing, cyber security, and resilient intelligent control systems. He is a Professor with Computer Science Department and Director of Cybersecurity Center at Virginia Commonwealth University. He has over 20 years of academic and industrial experience. As principal investigator he has completed over 30 research grants with the National Science Foundation, Dept. of Energy, Idaho National Laboratory, Dept. of Air Force, Fujitsu Laboratories of America, and Hewlett-Packard Prof. Manic has served as an IEEE Industrial Electronics Society (IES) Officer, is a member of various standing and technical committees and boards of this Society, and is a founder and past chair of Technical Committee on Resilience and Security in Industry. He is a General Chair of IEEE IECON 2018 and IEEE HSI 2019. He has authored or co-authored over 180 peer-reviewed publications and holds several U.S. patents. Dr. Manic has won 2018 R&D 100 Award for Autonomic Intelligent Cyber Sensor (AICS). Abstract: Artificial Intelligence is all around us – from therapeutic robots to autonomous vehicles. The talk will start with the definition of intelligence and expose some of the intriguing aspects of intelligence – the ability of machine to forget, to dream, to have emotions. The questions of ethics and morality will lead to the main topics of the talk – explainability and trust in AI. The examples from recently published work on Deep Neural Networks (DNNs) will highlight approaches to explaining decisions of AI systems. Specifically, these insights will elaborate on the factors that, confidence, and descriptions of predictions made by AI system. These insights have the goal of the answering questions such are "Is the DNN doing the right think? Or "Is it doing the right thing for the right reasons?". The examples will illustrate how prediction accuracy is not enough – and why "learning for the right reason" is important for building trust in AI. Further, insight into what is ahead of us in AI world will be highlighted in terms of challenging balance of generalization and adversarial learning. At the end of the presentation, difficult questions of how to develop generalized explaining methods, how to measure explainability, and what is the sufficient level of it will be discussed. 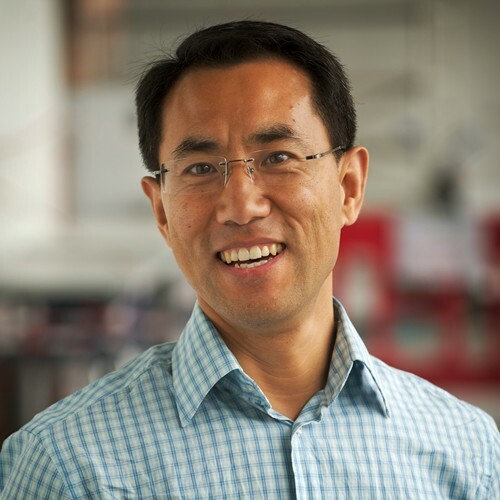 Dr. Hui Yu is a Chair/Professor with the University of Portsmouth in the UK. He is the Head of the Visual Computing Group at the university. His main research interest lies in visual computing and big data analysis, particularly in understanding and sensing the visual world of human related issues with semantic interpretation. It involves and develops knowledge and technologies in vision, machine learning, virtual reality, brain-computer interaction and robotics. Professor Yu's research work has led to many awards and successful collaboration with worldwide institutions and industries. He has led projects supported by EPSRC, ESRC, Royal Academy of Engineering, EU-FP7 and industries. He has extensive contributions to the international research community with organizing and chairing international research conferences and summer schools. He is also Associated Editor of IEEE Transactions on Human-Machine Systems journal and Neurocomputing journal. Abstract: Facial analysis has been an active research field with popular applications. The vast demands and advancement of technologies have enabled a wide range of applications of sensing systems for capturing facial performance and affective states. With the availability of the complex facial data, a large body of research has been conducted in the past decades. However, there are still significant challenges in this area due to new applications and higher accuracy demands. In-the-wild facial data under unconstrained conditions pose a big challenge to existing facial analysis approaches. This talk will address the challenges and some new solutions to facial on wild data. It will also highlight the deep learning technology used to for 3d facial reconstruction from a single image. Michele Della Ventura, professor of Music Technology, is a learning expert, researcher and instructional designer. His research interests include correlation between music and mathematics with a particular emphasis on artificial intelligence research in the field of computer-aided analysis of tonal music; intelligent systems; enhancing teaching and learning with technology; assessment for learning and strategies and models for the effective integration of technology into the curriculum at all academic levels. He is the author of several articles presented at many conferences and published in international science magazines and high school textbooks (also featured at the International Book Salon of Turin in 2012). He proofreads articles and is a member of scientific committees in International Conferences. He was invited as keynote speaker to International Conferences in Italy, Austria, Canada, China, Czech Republic, France, Germany, Hong Kong, Ireland, Japan, Romania, Singapore, Spain, UK, US (Baltimora, Boston, Las Vegas, New York, Washington). 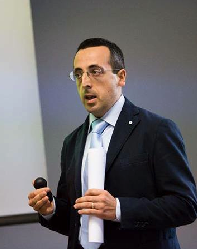 Michele Della Ventura has also consulted on Big Data and Semantic Technology projects in Italy. Some of the projects include indexation of the symbolic level of musical text. He is currently involved in several researches related to technology supported learning for dyslexic students, learning through the use of social media and handheld technologies in a CLIL classroom and technology supported student music analysis and composition. The concept of Artificial Intelligence (AI) can be hard to understand, especially when trying to think about how it can be applied to education as well as many other sectors of society. AI is a part of our everyday lives and in our classrooms. With AI students and teachers are able to communicate with one another; students are able to help other students and meet the students' interests and needs. AI is also able to help students with special needs by adapting materials to lead them to success. This research is based on the use of some AI softwares that it is possibile to use for managing the student's motivation in order to promote effective, active, efficient and satisfactory learning. In particular, an attempt was made to consider the strengths of dyslexic students in order to mitigate their weaknesses.